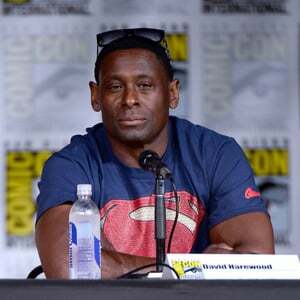 How much is David Harewood Worth? David Harewood Net Worth and Salary: David Harewood is an English actor who has a net worth of $5 million. David Harewood was born in Streatham, London in December 1965. Harewood is best known for playing the role of David Estes on the television series Homeland. At 18 he studied at the Royal Academy of Dramatic Art. Harewood's first role came on the TV series South of the Border in 1988. From 1991 to 1993 he had a recurring role as Derek Puley on the series Spatz. Harewood starred as Daniel in the TV series Agony Again in 1995. From 1999 to 2001 he starred as Mike Gregson in the television series Always and Everyone. He starred as Joe Robinson in the TV series The Vice from 1999 to 2003. From 2004 to 2005 he starred as Max Robertson in the series Fat Friends. David starred as Major Simon Brooks in the TV series The Palace in 2008. In 2009 he starred as Tuck in the series Robin Hood. One of his best known roles came starring as David Estes in the TV series Homeland from 2011 to 2012. Starting in 2014 Harewood starred as Sam in the series Selfie. He has also starred in the movies The Merchant of Venice, Separate Lies, Blood Diamond, and The Third Person. Harewood was nominated for a Screen Actors Guild Award for Homeland in 2013. In total he appeared in 24 episodes of Homeland. Since 2015 David has starred as a Main role in the series Supergirl.